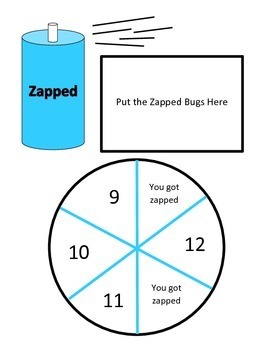 Multiply It or Get Zapped is a fun game to practice your multiplication facts. 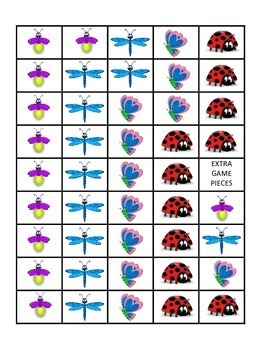 Each player picks a bug (gather all10 of your bugs). Take a pencil and paperclip and spin the spinner. 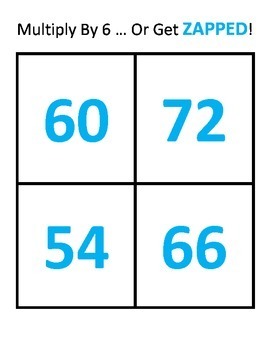 Multiply that number you landed on with the number at the top of the Multiply It ___ or Get Zapped. Put a bug on the product. If you land on a space marked zapped you have to put a bug in the zapped box. After each player has used all of their bugs, you spin the spinner one more time... whoever has the most bugs on the number spun WINS!!! It is a ton of fun and easy to set up!